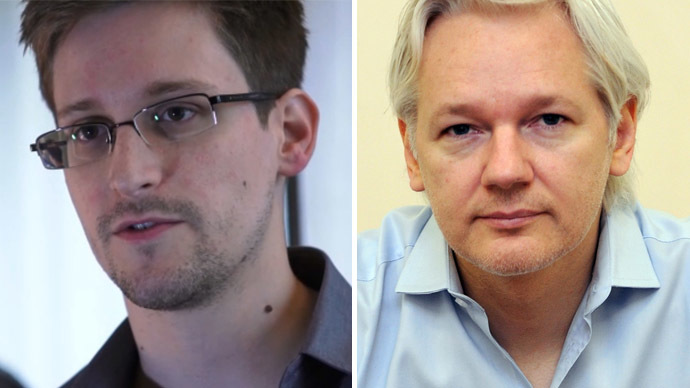 WikiLeaks may publish further revelations promised by NSA leaker Edward Snowden, Julian Assange hinted during a conference call with journalists. He reiterated that his legal team is helping Snowden in his quest for asylum in Iceland. “I feel a great deal of personal sympathy with Mr. Snowden,” the WikiLeaks founder said, adding that he had been in touch with Snowden’s lawyers. "We are in touch with Mr. Snowden's legal team and have been, are involved, in the process of brokering his asylum in Iceland," he said in a conference call from the Ecuadorian Embassy, where he himself has been fighting his extradition to Sweden for nearly a year. When asked if he had spoken directly with Snowden, the former CIA contractor who fled to Hong Kong before disclosing the NSA’s PRISM surveillance program, Assange declined to offer further details. 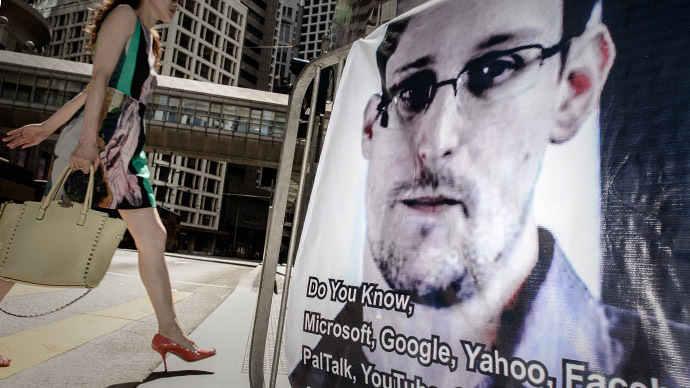 It was reported Tuesday that Snowden is seeking asylum in the Nordic island-nation. The Icelandic government confirmed they had received Snowden’s request through WikiLeaks spokesperson Kristinn Hrafnsson. Icelandic Prime Minister Sigmundur David Gunnlaugsson confirmed that Snowden’s representative held “informal talks” with government officials to sound out the possibility of the country granting him asylum. The PM declined to comment further, adding that the asylum request should be filed in Iceland by Snowden himself. Assange said the US government is likely to charge the NSA leaker with espionage. “It is clear to me at this stage that Mr. Snowden . . . is being very aggressively pursued by the US national security sector, and there’s an open question as to whether the journalists, Laura Poitras and Glenn Greenwald, will be in the same position that I will be in in a year’s time,” he said. The US has not yet filed a formal request for his extradition from the Chinese territory.